Celebrating the best of Derbyshire! Bank holiday is looming and whether we can trust the weather is a question no one can answer but we have a couple of suggestions for you. We have a busy weekend planned at the Tickled Trout and would love to welcome you for a chilled out lunch or dinner to sample our delicious new menu. Bank holiday is looming and whether we can trust the weather is a question no one can answer but we have a couple of suggestions for you. 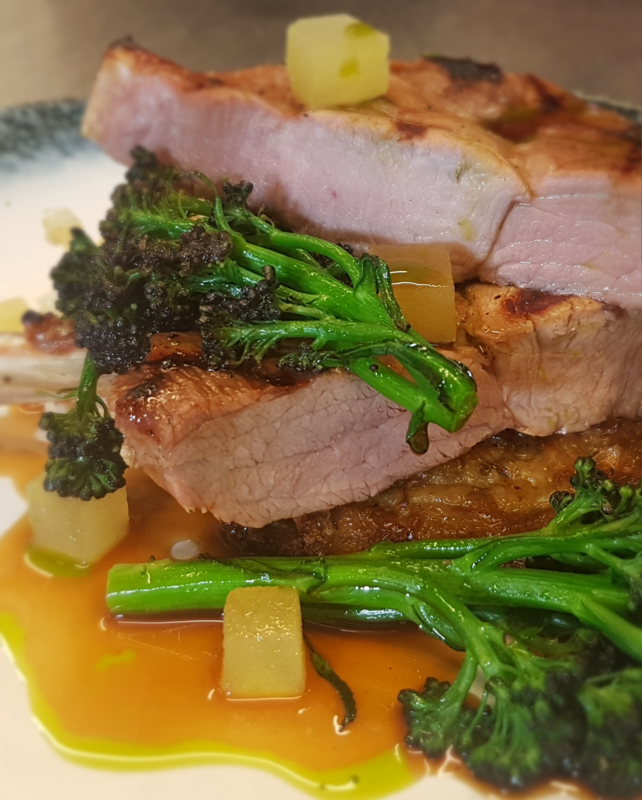 We have a busy weekend planned at the Tickled Trout and would love to welcome you for a chilled out lunch or dinner to sample our delicious new menu. We have showcased the best from our local suppliers in our dishes. This leads me nicely to a suggestion if you fancy a little trip out! Whilst my team will be holding the fort I will be sharing a few tricks of the trade at the Great British Food Festival held at the spectacular Hardwick Hall. It is an opportunity to really celebrate the very best of what Derbyshire has to offer and with so much food and drink to sample it’s definitely worth the visit! I came home with a huge bag of goodies last year! This year I will be doing a couple of demonstrations on Saturday at 2pm and Sunday at 2pm. The demo will be the côte de porc, which is coming new to our menu. Côte de porc is the rib eye and served on the bone, it’s delicious. We brine it and then chargrill it very quickly to keep it tender. There is a rösti that is cooked in duck fat and celeriac remoulade, cider gravy and compressed granny smiths apple. Over the last couple of years I’ve really enjoyed doing this event, its great fun and there is always a full tent for all the demos...last year I revealed the most important item a chef can own.... I had all sorts of answers to the question... can you guess? Maybe the photo below will give you a clue! 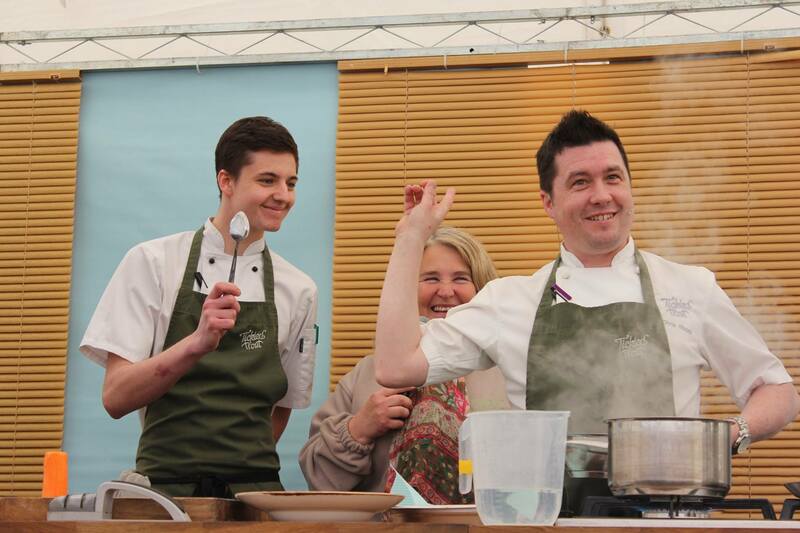 We are also doing a demo at the Chatsworth RHS on Wednesday 6th June and a small demo at My Fathers’ Heart in Sheffield for the Westside Young Chef of Year competition on May 12th. Find us on Facebook and Instagram and stay up to date with all our latest offers, news and events.